Emma Watson has opened up about her experiences in Hollywood, saying she has experienced the "full spectrum" of sexual harassment in the film industry, but her story is "not unique." Speaking to Variety, she said: "It's amazing because I have experienced the full spectrum [of harassment]. But I think that for me, what is amazing is that my experiences are not unique, the experiences of my friends are not unique, the experiences of my colleagues are not unique. This issue is so systemic, structural." She continued: "The statistics around—even in the United Kingdom—women between the ages of 18 to 24, huge, huge, huge numbers say that they have experienced sexual harassment in the workplace. You realize, if you speak to most women, they have an experience, they have a story. We're just uncovering. We're just scratching the surface of this, which is what's really crazy." 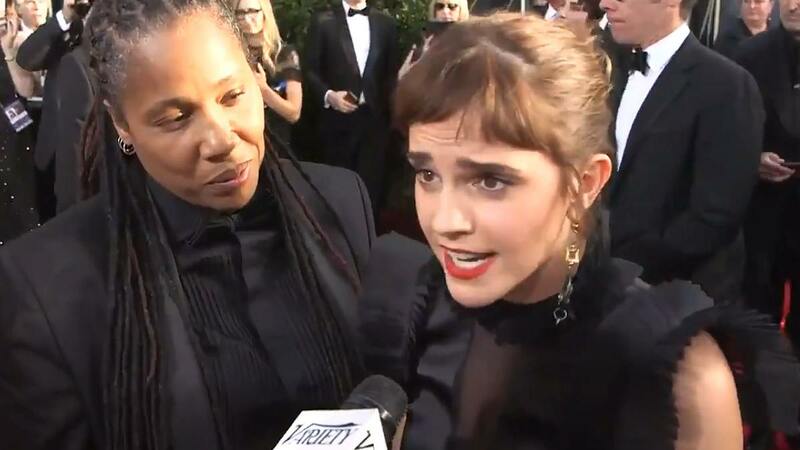 At the Golden Globes, Emma was one of the guests who wore black in solidarity and support of the Time's Up movement against sexual harassment. Emma was also one of eight Hollywood stars who invited prominent activists to join them on the red carpet and at the ceremony. She was accompanied by Marai Larasi, the executive director of Imkaan, an organization dedicated to addressing violence against black and minority ethnic women and girls. In the wake of the Harvey Weinstein scandal, thousands of women are speaking out to show how widespread sexual harassment and assault really is. Women from all over the world have united on social media using the hashtag #MeToo to share their stories of being sexually harassed or assaulted in some way throughout their lives.